Services offered : TV, AC, swimming pool, fitness centre, money exchanger, game room, conference room, credit ard acceptance and doctor-on-call. 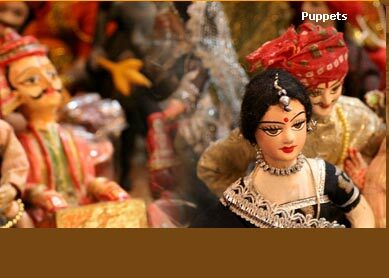 Cuisine: Traditional Rajasthani, Indian, Continental, Chinese. 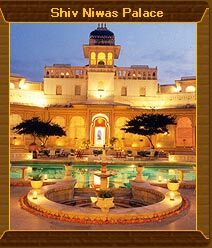 Been once the residence of Maharana Fateh Singhji, the elegant courtyard as well as the complex has been now turned into a luxurious heritage hotel. Located on the famous and beautiful Pichola Lake, the heritage hotel has been awarded thrice the national prize as the best heritage hotel of the country. Hardly would there be any other place giving tourist such a wonderful experience of availing Rajasthani royal hospitality. Counted among few of the best heritage hotels of the country, the Shiv Niwas Palace has preserved its bygone Rajasthani glory with whole of its originality. The total 31 rooms have been categorized into deluxe rooms, terrace suite, historic suite, royal suite and imperial suite. Each of the rooms are furnished with painted ceiling, fine decor and glass work giving guests splendid experience of hospitality. The Paantya restaurant of the hotel is all set to elevate ones dining experience. The best guests of the hotel can expect on their tray include Rajasthani and Indian cuisine, which are the superb specialty of the restaurant. 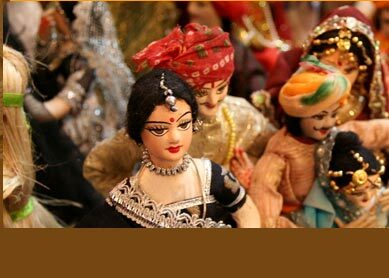 Besides, Indian and Rajasthani, the restaurant also cater cuisine including Continental, Chinese and North-Indian. The facilities that guests can avail during their stay at the hotel include TV, AC, swimming pool, fitness centre, money exchanger, game room, conference room, credit card acceptance and doctor-on-call. As the Pichola Lake touches the border of the heritage hotel, guests get the obvious hang-out destination to explore. Enjoying the boat ride in the famous lake is best one can enjoy in their morning and evening leisure. Besides, a visit to nearby attraction of the lake city is full of sightseeing opportunity giving a fine glimpse of rich cultural and historical significance of Rajasthan.